The Toyota TogetherGreen Grant has enabled Tropical Audubon Society to implement a significant number of tree plantings and community conservation workshops. 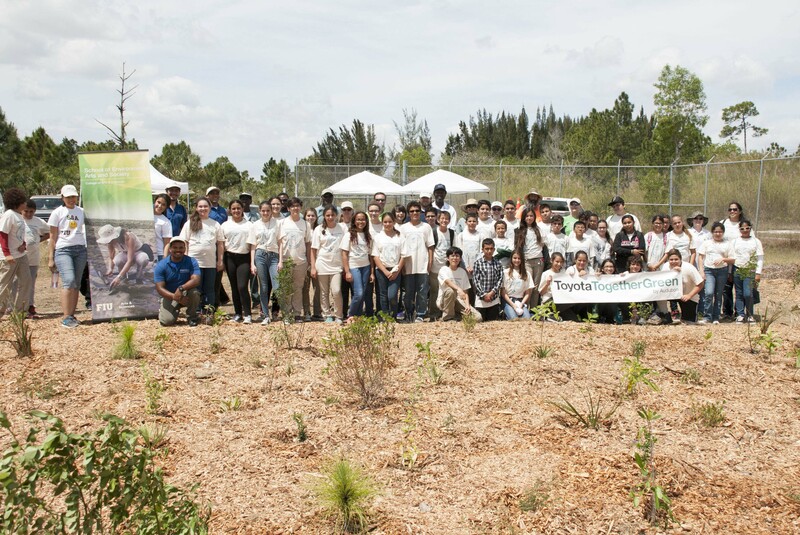 The “Urban Greening through Community Partnership” grant – a Toyota TogetherGreen by Audubon Innovation Grant was awarded to TAS for 2013-2014; it has helped TAS staff teach the diverse Miami-Dade County community about the importance of conservation and forging partnerships. Tree plantings and educational activities, coupled with presentations on conservation issues such as improving bird habitats, water resources, the Everglades, Biscayne Bay and important bird areas, comprise the work TAS has facilitated to date. Barbara Goleman Senior High School, Miami Lakes. In partnership with the school and in tandem with its Fairchild Challenge entry, TAS helped facilitate the planting of native flora (100 specimens) in a previously bare setting at the school entrance. Organizers engaged with the students about the importance of birds, butterflies, plants and water, and suggested conservation measures each student can adopt in their everyday routines. Matheson Hammock Park, Coral Gables. Four specimen trees were planted here as part of the Greater Parks Tree Summit’s closing ceremony. Zoo Miami. More natives (330) were added to the rare Pine Rockland parcel that exists here with the help of West Miami Middle School volunteers. Little Havana. A landscape plan was drawn up and 45 natives planted at an after-school care center to convey the importance of long-term habitat maintenance to pre-teen children. Black Creek Preserve, South Dade. This parcel is part of Miami-Dade County’s Environmentally Endangered Lands Program; 425 specimens were planted here along Black Creek Canal.